This animation showcases Merrion Pharmaceuticals’ GIPET technology: a ground-breaking formula for delivering significantly more medicine per tablet than is currently possible. 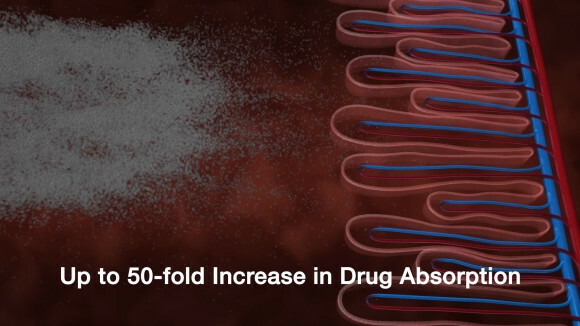 GIPET dissolves to form a matrix enabling up to 50 times more absorption of drug – compared with standard tablet preparations. Still in its testing phase, the animation is designed to describe the mode of action to pharmaceutical industry partners and other stakeholders.